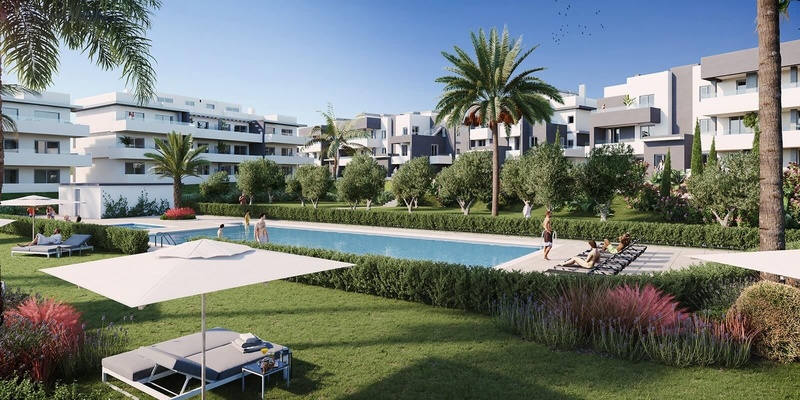 A new complex of 66 modern Estepona apartments with great payment options comprising 2 and 3 bedroom units and built over three levels, harmoniously distributed around common areas with beautiful gardens and a large swimming pool. 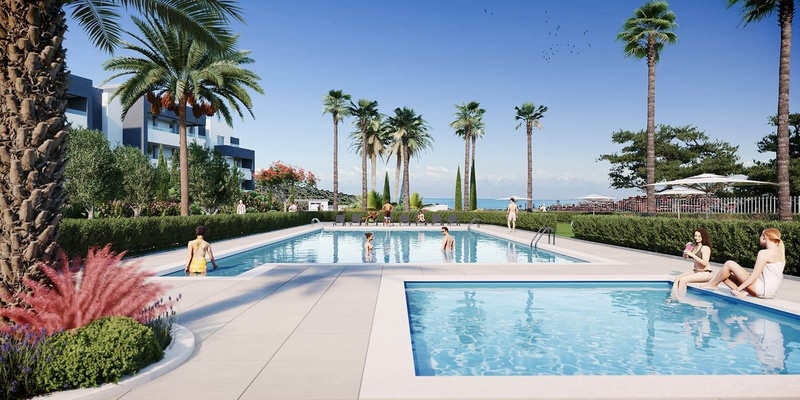 The complex is ideally-located just a short walk to the beach in the extremely popular area of western Estepona. This promotion presents an outstanding opportunity for first time buyers, foreigners seeking a holiday home or investment property close to one of the Costa del Sol’s finest beaches, since the prices of the units are very affordable and its payment plan is second to none compared to other promotions of its type. Reserve your modern, new build apartment with VIVA today! The apartments all have beautiful terraces of between 25m2 and 165m2 with spectacular open views towards the common gardens, large swimming pool, mountains and sea. 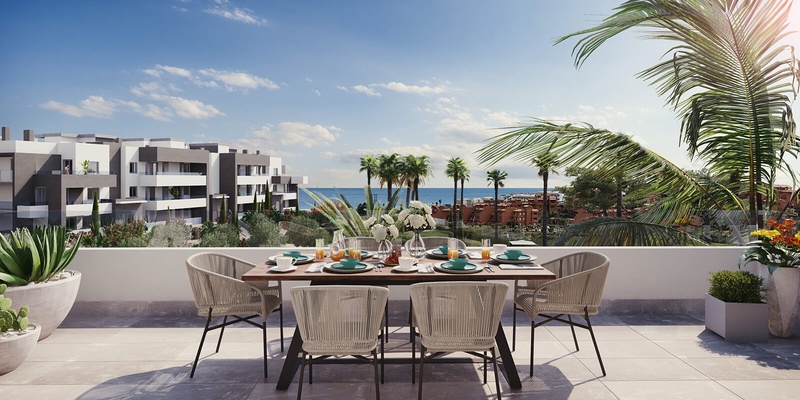 The south-south-east orientation of the majority of the terraces allows you to make the most of the sun and brightness of the heavenly Costa del Sol all day long. 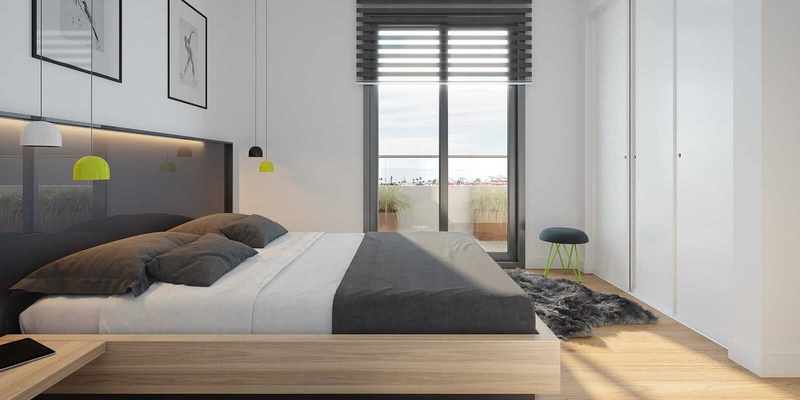 Ground floor units offer a private garden in addition to a terrace, first floor apartments boast beautiful terraces ranging from 25m2 to 35m2 and second floor units offer a beautiful rooftop solarium as well as generous terrace space. 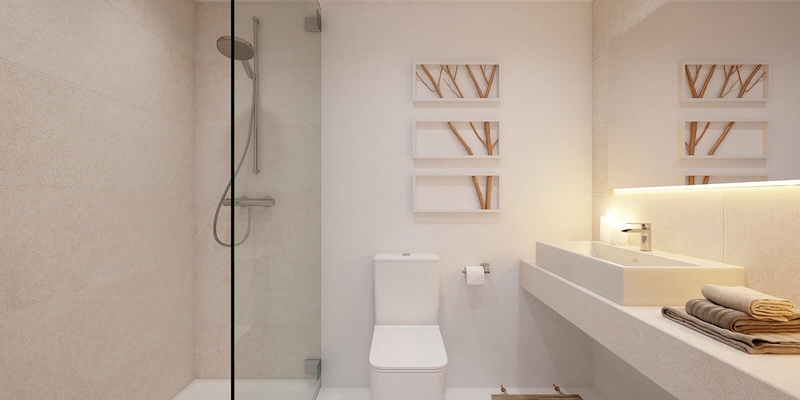 The interiors of the homes are modern and smartly designed to maximise space efficiency and room distribution, including bright open kitchens, convenient laundry facilities, ample storage space and built-in cabinets. 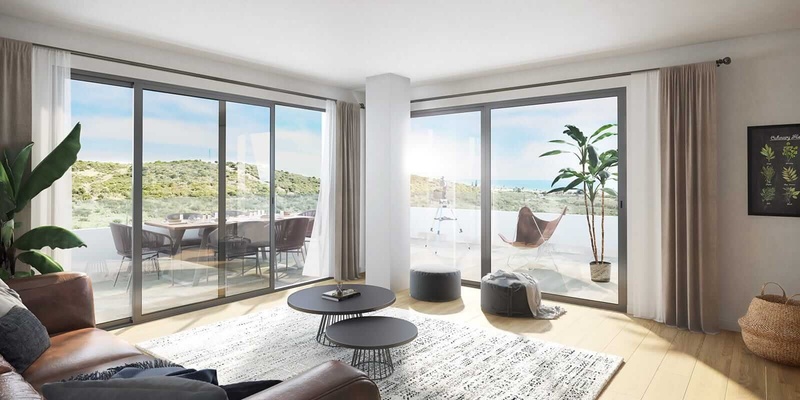 These attractive and functional apartments range in built area from 81m2 up to 135m2, making them the perfect size for couples and young families making the move to the Costa del Sol. 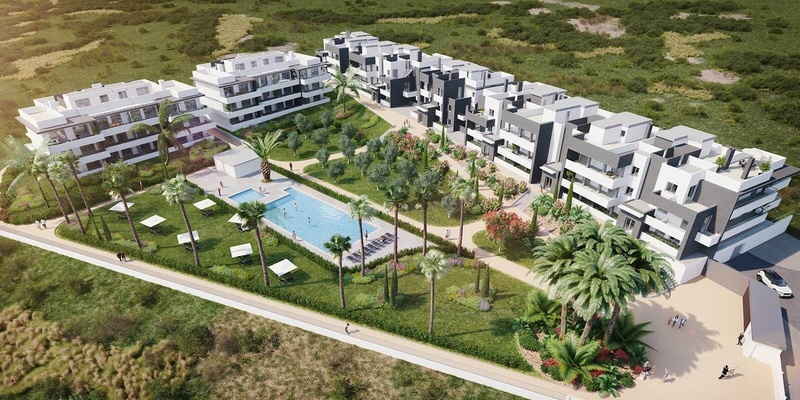 Would you love to own one of these modern and new apartments in Estepona?